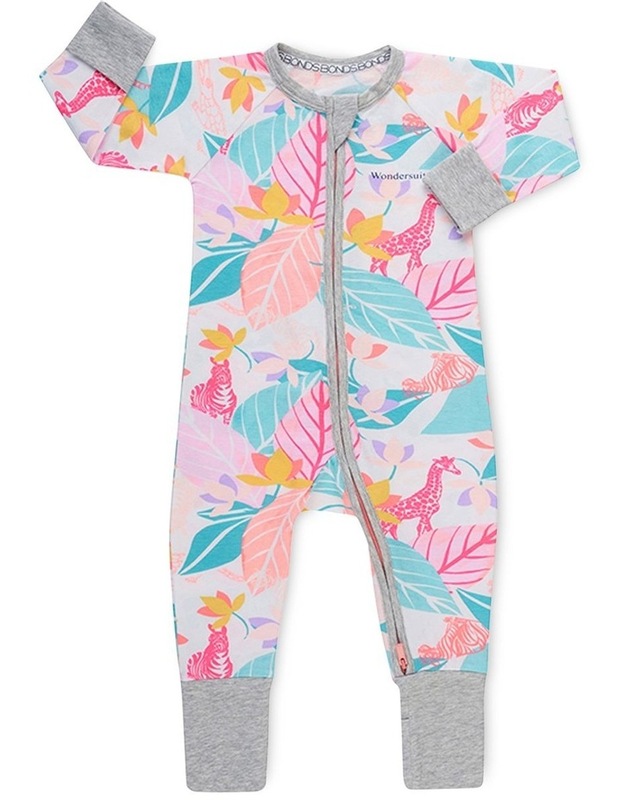 The zip wondersuit in comfy stretchy cotton and cute prints with a 2-way zip! The soft, cosy and stretchy fabric moves with your precious one. The two-way zip feature means you can change busy bubs fast! 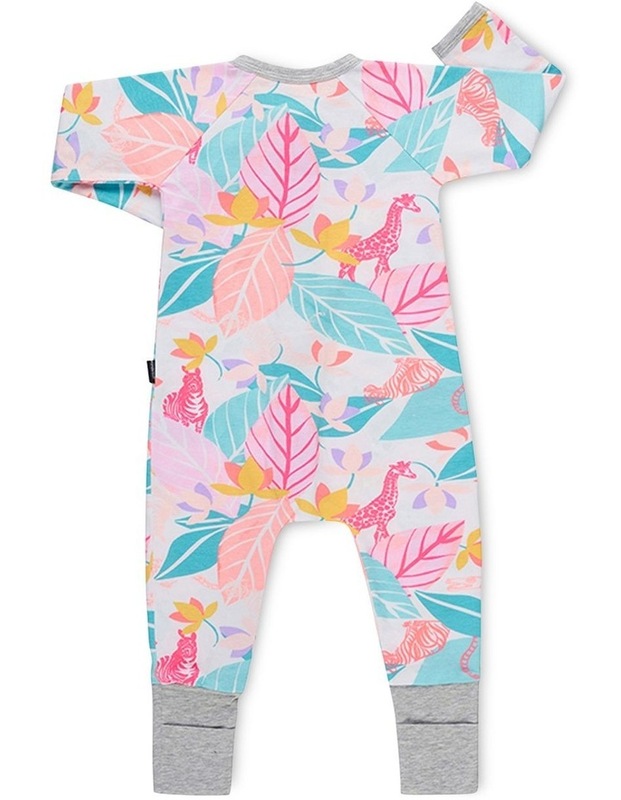 It has a protective zip cover so baby's skin stays safe and fold over cuffs on feet for extra warmth and comfort. Cosy cuff fold over mittens also prevent new bubs from scratching during the night (mittens available from size 0000 to 0).